Getting 100 page speed score is a child’s play with the super fast loading WordPress theme, Page Speed, provided your images are optimized properly. We are able to achieve this incredible feet with the PageSpeed WordPress theme by separating the above speed CSS and inlining it. The inlined CSS is less than 10KB [3kb when gzipped], we plan to bring this down under 5-6KB in future performance updates. 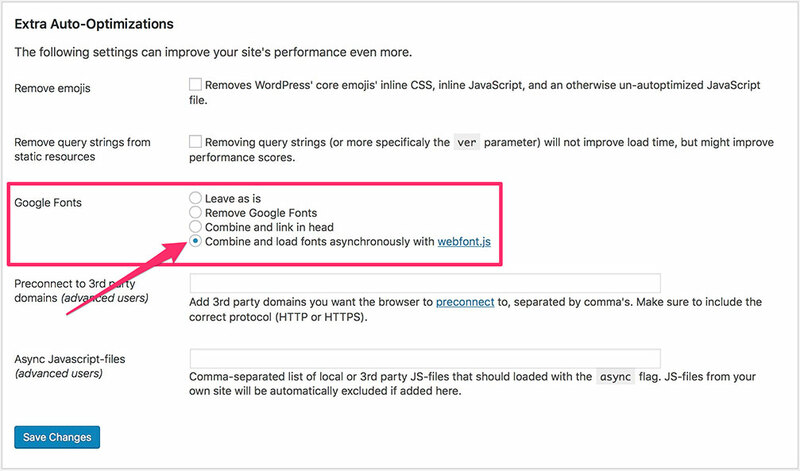 We only recommend WP Super Cache to reduce the load on the server, so just activate the plugin and enable the plugin. If you know what you are doing, you can explore the other options provided. Key to 100 page speed score is to have the above fold content rendered as early as possible. For this page speed already separates the above fold CSS and inlines it. We use autoptimize to load rest of the CSS from theme and plugins asynchronously. Advanced Autoptimize Settings for 100/100 Page Speed Score. Keeping HTML comments is up to you. If you don’t know what to do, keep it unchecked. Leave aggregate inline JS unchecked. Keep Exclude scripts from Autoptimize blank. Generate data URIs for images is optional. Above two options are the key. 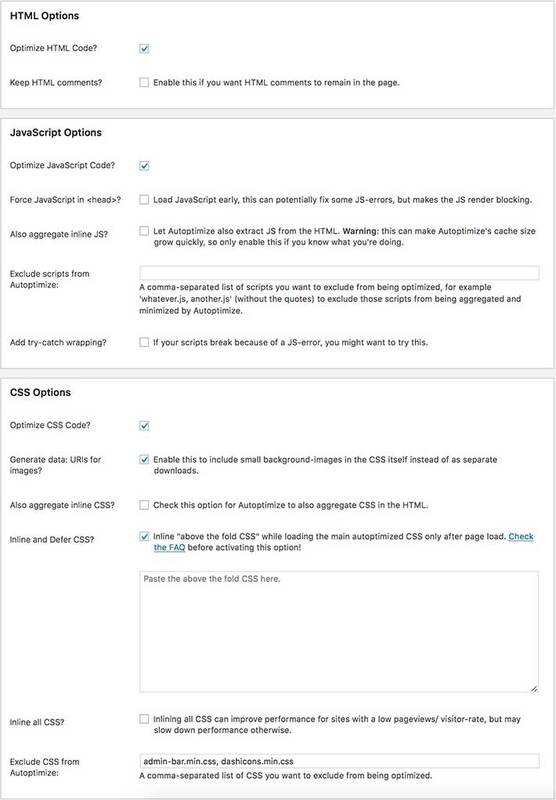 keep Paste the above fold CSS option blank unless you know what you are doing. If you are using Google fonts, we should load them asynchronously as they are a blocking resource. For this click on the extra tab in autoptimize settings tab, and select Combine and load fonts asynchronously with webfont.js. Refer to the second screenshot below. Note: You can achieve 100 page speed score with the PageSpeed theme and we achieved that @ https://Demos.SwiftThemes.Com, a slightly unoptimized image can bring it down a few points, so don’t obsess with the perfect score. 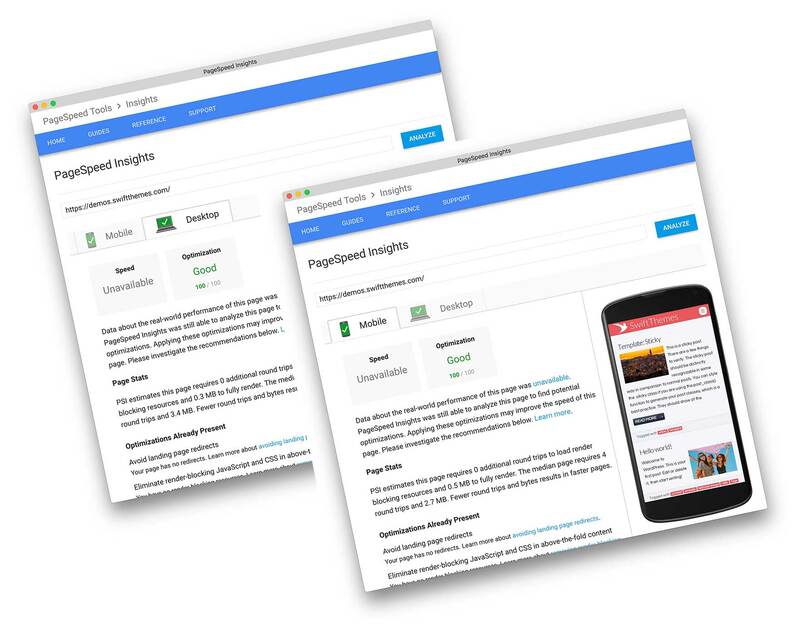 Google Page Speed Insights score is not an actual representation of speed, consider it a report card for the websites technical and UX (partially) standards.